FAMILIES affected by the Humboldt Brocnos crash that killed 16 people and injured 13 others in April 2018 learned this week that semi-trailer driver Jaskirat Singh Sidhu who was responsible for the tragedy committed 70 violations of federal and provincial trucking regulations in the 11 days leading to the crash, according to a court document. The report, signed by two senior enforcement officers in the provincial government’s Ministry of Highways, figures in the appendix of the RCMP’s Forensic Collision Reconstruction Report. Sidhu was not drunk, high or speeding. Also, he was not using a cellphone at the time of the crash.He did not touch his brakes, despite multiple road signs and a 1.5-metre wide stop sign containing a functioning, flashing light at the intersection, CBC reported. The dozens of violations mostly involve missing data in Sidhu’s driver log book. Regulators track these log entries in part to prevent drivers from working when excessively fatigued or sleepy, according to the CBC. Sidhu failed to account for time on and off the job, to account for the city or province where he spent each shift, and to document whether the vehicle had any defects. On some entries, he’d sign off on a completed work day before starting to drive. On days such as March 30 and 31, the log book is completely missing, the CBC reported. There are “strong concerns” about the documentation for April 6, inspectors said in the report. The report questions, among other things, Sidhu’s log book entry showing he took five hours off duty in the middle of his work day April 6, just two hours before the crash occurred. 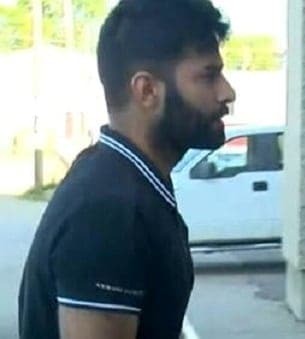 Sukhmander Singh, owner and director of Calgary-based Adesh Deol Trucking Ltd for whom Sidhu was working at the time of the crash, faces eight counts of failing to comply with various safety and log-keeping regulations, according to the CBC report. Lawyers on Thursday argued for sentences ranging from 1 1/2 years in jail to up to 10 years in prison and Provincial Court Judge Inez Cardinal said she will hand down her decision on March 22. According to Canadian Press, a few months after the crash, the federal government changed the Criminal Code, increasing the maximum penalty for dangerous driving causing death from 14 years to life in prison. It also increased the maximum sentence for dangerous driving causing bodily harm from 10 years to 14 years. The Crown noted Sidhu must be sentenced under the previous law. Sidhu’s lawyer said that any sentence over six months would likely mean his client, who is not a Canadian citizen, will be deported.